A friend asked, "Do you keep letters from your students and friends?" Here's the answer: Yes, I do and I keep them all in a bottle. I keep them in a bottle and often read them once in a while. I'd like to share you some of my favorite among them. 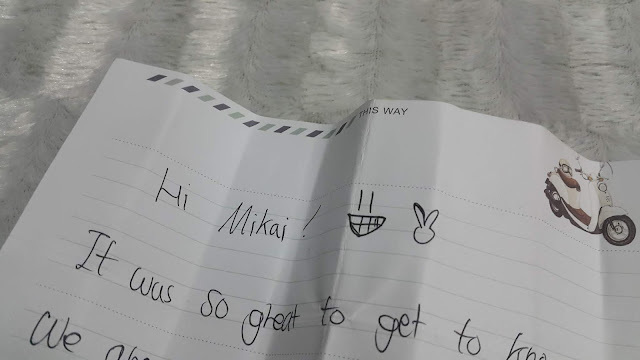 Here's a letter from my Korean student in 2017, it's my first time to receive a letter that has been written in full Korean and it came from one of my favorite students. 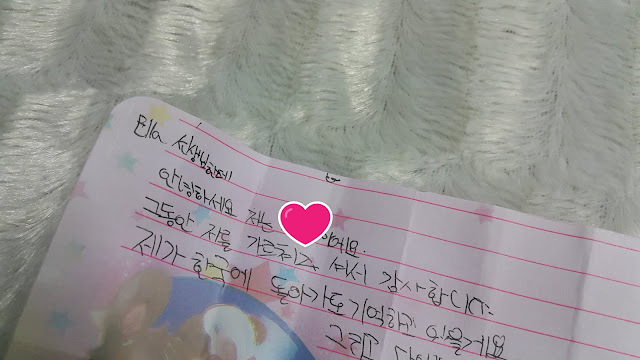 The letter also says he was thankful from the things he learned from and me and that we should meet when I visit to Korea. As a teacher to foreigners, it has been so difficult to adjust from my native tongue to teaching my 2nd language English to Koreans. It was just a short time of teaching but I had great memories with them! This is also when I started to get accustomed with their food and culture further. This is probably one of the most surprising letter I received that I appreciate so much. 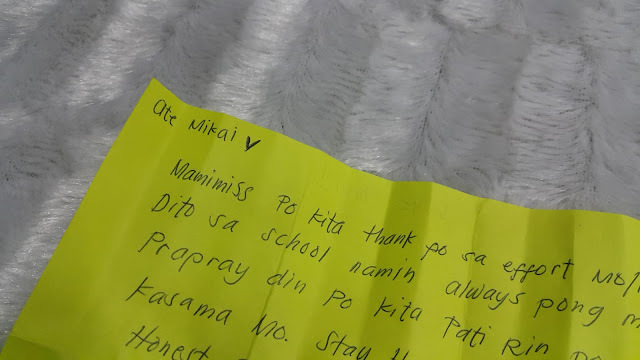 Two students from my previous Masinloc volunteering event shyly approached me and my friends and handed us letters and we were all touched by its contents. 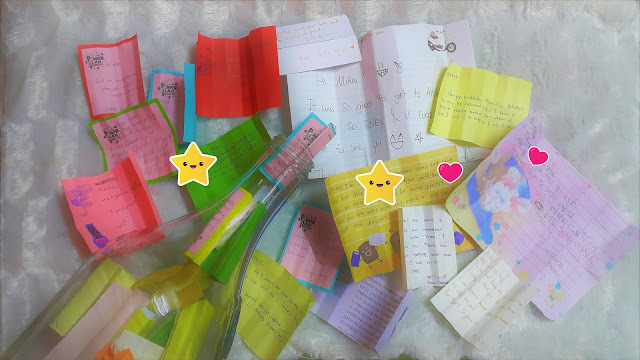 This event has been one of my favorite events that I joined ever since and up until now, messages from the students during that event were all saved in my pc (the online messages) and handwritten letters were all in my bottle. On the same Masinloc event, I had the chance to meet Korean volunteers too who also made an effort to write us letters! I also got the chance to attend plenty of volunteering events and youth camps before where I got plenty of messages from my teammates and coaches too! This letter also surprised me. 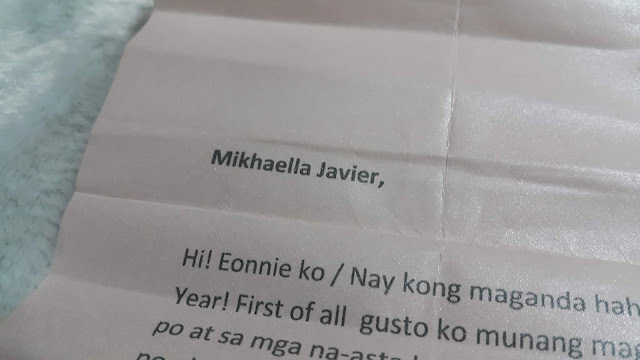 On a Christmas Day of 2017, I received a gift from a former officemate with a necklace and a pretty long letter. I was quite laughing at first because we've worked together for quite a long time but she still misspelled my name. 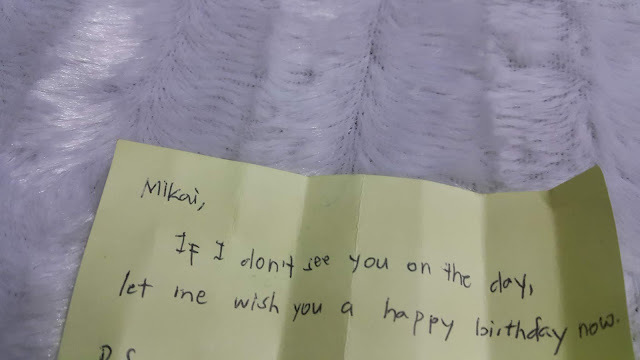 However, I appreciate her effort and the contents of the letter. Who would think that people would appreciate you that much right? Lastly, letters from my circle of friends are all well appreciated. Thank you for always remembering important dates like my birthday, Christmas and other life events. I got random messages from my friends and for always being there despite everything. Letters like this help me keep myself on track whenever I feel down or lost. It reminds me of all the special moments with the people I've been with and it inspires me to work harder in the future. To my students whom at some point let me learn lots of real life lessons, to the volunteers who inspired me that helping others is a way to share blessing and it returns to you a thousand folds and to my friends who reminds me that no matter what, despite the distance, we are still friends and will always be. Thank you so much for leaving a note for me to remember how blessed I am through the years.